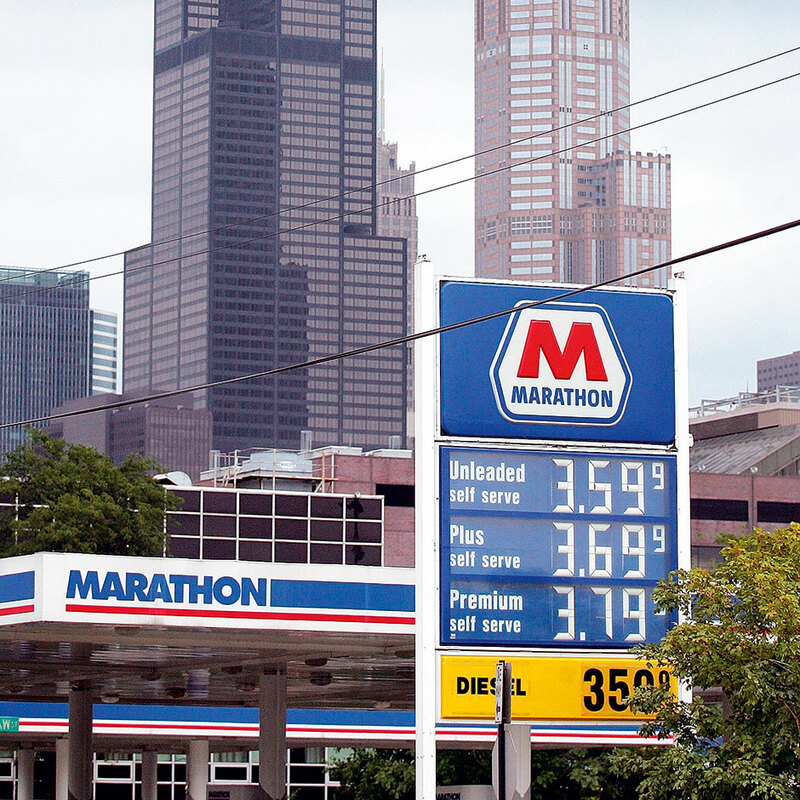 Marathon Petroleum Corporation is an oil refining, marketing and transport company based in the US. The company was formed as a subsidiary in 2005 from Marathon Ashland Petroleum. Until mid-2011, Marathon Petroleum had operated as a subsidiary of the Marathon Oil Corporation when it separated completely. Now a downstream company, Marathon Petroleum focuses on refining, pipelines and marketing portfolio enrichment. The company has a six-plant refinery system, a capacity of nearly 200,000 barrels per day, and is the fifth-largest transportation fuels refiner in the US. Marathon expands through both internal growth and strategic acquisitions.